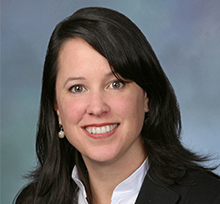 Katy Gardner represents domestic and foreign corporations, partnerships and limited liability companies in their mergers and acquisitions, other business and financial transactions and in their day-to-day operations. She has broad-based experience in structuring transactions, drafting and negotiating various transactional documents in connection with asset sales and acquisitions, stock acquisitions, mergers, private placements, venture capital transactions, hedge funds and lending transactions. She represents entities in diverse industries, including life sciences, government contracts, hedge funds, media, technology, manufacturing and trade associations. In addition, Katy represents investors, issuers, lenders and borrowers in their funding activities, including joint ventures, equity investments, and senior secured and mezzanine financings. She has structured various domestic and offshore hedge funds and private equity funds. As counsel to the funds, she continues to represent them in the purchase and sale of assets held by the funds and in other day-to-day fund activities.